Christmas and the New Year is a tense time for all, but particularly for managers. Just ask Paul Clement. Or even our old friend Eduardo Berizzo at Sevilla who, after only recently recovering from cancer surgery, was rewarded with a P45 just days before the big day. Happy Christmas indeed. I don't miss the tension of managing teams at this period when you're trying to concentrate on carving the turkey leg but deep down you're only worried about Curtis Fleming's leg. Christmas Day was often about making sly phone calls to players, checking on their availability, worrying about selection. My first trophy with St Pat's was a Leinster Senior Cup win against Bohemians on St Stephen's Day; a belated Christmas present, offering the promise of, perhaps, more to come. Later, with the underage teams, we used to have winter tournaments in Israel or else we'd have trial gatherings of the returning emigrants in the AUL to check on their progress. It was always a busy time. It's far less stressful watching football at this time of year than playing it but you would miss the prospect of going to watch a match on Stephen's Day; summer football has been of great benefit to our league but it still leaves a hole for its devotees. For the League of Ireland, substantial progress in European competition appears to be the only way it can ever seem to redeem itself in the eyes of so many who have averted their eyes down the years. Apart, of course, from those dwindling numbers of us still intimately immersed in the cult of the game here. This time last year, we were still basking in the apparent reflected glow of Dundalk's Europa League heroics but winter's chill soon thieved even that warmth. For a while though, it epitomised how an Irish team could catch the public's imagination. People could readily identify the level of competition and the standard of Dundalk's opponents. It wasn't the Champions League but it was near enough. Could that ever happen? We long for an Irish team to qualify for the Champions League. It may happen - but only once. Dundalk's difficulty in backing up that incredible season saw them struggle to replicate their feats at home and abroad. And, although Cork demand credit for that extraordinary platform of 21 opening wins and a draw that effectively secured tenancy of the league title by early summer, the fact that they didn't advance far in Europe restricted their accomplishment to a narrower audience, even if it is a more passionate one. The crowds always seem to be exaggerated to me; Dundalk and Cork are pulling people in because they are winning teams. But in Dublin, the falling numbers seem to be more reflective of an overall decline of public interest. Without a consistent, properly targeted marketing campaign by the FAI, who currently control the league, and its clubs, it is unlikely we will see any dramatic change in its profile or respect. Especially in comparison to a thriving GAA and rugby scene, where the facilities are also far superior, not to mention this country's perennial obsession with English football. Dundalk's subsequent inability to hold on to their best players in 2017 reflected the reality that soccer is still not a full-time industry in this country. Look at Patrick McEleney for example, who sees the third level of football in England as a more preferable avenue to further his career. David McMillan has chosen Scotland where, if you exclude Celtic, that country's record in Europe is abysmal as Rangers' elimination by a team from Luxembourg again illustrated. As we have continually learned in this country, if you have good players, they are not going to stay here - not for long anyway - and we are continuing to be a feeder for other leagues in Britain and the USA, some of them not necessarily of a higher standing. 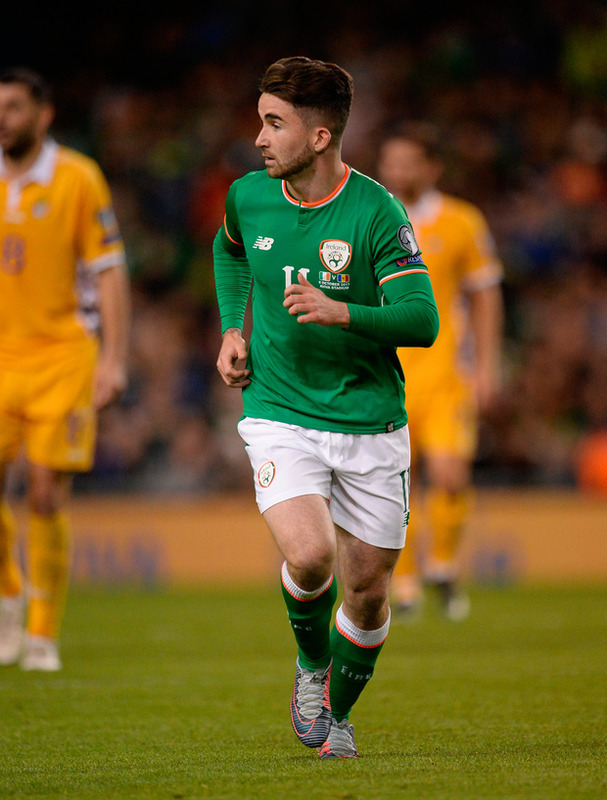 If another Sean Maguire emerges this year, the frustration is he may be forced to leave to further his career. Maguire stayed around long enough to ensure Cork had enough credit to ride through a goal-starved absence without him; his hat-trick in Oriel Park in early June was decisive and, at the top end at least, interest flagged a little until the FAI Cup final. The prospect of relegation for two recent league winners, St Pat's and Sligo, occupied many minds, as they tussled with a resurgent Galway. The relegation battle unnerved Pat's folk but mid-season signings saved them. Just. Ian Bermingham's third goal against Cork in October was a selfish highlight in a season of toil in Inchicore. The prospects for the year ahead? With only Karl Sheppard retained, the deadly front three have been reduced to one as the champions seek to emulate Dundalk by retaining their crown. Alan Bennett is a year older, while Stephen Dooley, Kevin O'Connor, Ryan Delaney and Greg Bolger have left, so John Caulfield is left with some rebuilding to do. His recruitment has been excellent but it took three years to create that title-winning team and now he must jig things around again. Barry McNamee, Tobi Adebayo-Rowling, Josh O'Hanlon and Aaron Barry have come in but will need time to adjust. Dundalk suffered from injuries, exacerbated by an 11-month season in 2016, and player departures which meant that last year was always going to be difficult. The adaptable Ronan Murray has come in from Galway while Pat Hoban has returned and Stephen Kenny will hope he can regain his sight for goal. Derry, who performed admirably after such a traumatic season, are returning home to the Brandywell but too many of their better players have left for them to sustain a title challenge. Shamrock Rovers have attracted star names to their underage set-up; there is a lot of youth and potential in their team but also a lack of consistency. The release of Simon Madden seems a strange call. Morale can be brittle when they fall behind; cutting their losses - 13 - in half is a minimum demand. A 10-team league has been tried before here and in other smaller countries and it generally gets abandoned because familiarity breeds contempt - not only between players and clubs, but often amongst supporters who get bored of watching the same matches on a seemingly endless loop. At least there isn't an imbalance of clubs from the pale; there are only three from Dublin and there is a decent geographical spread which is better for the game. If Ireland longed for a Champions League breakthrough, so did England. Brexit was not confined to politics and that Leicester City managed to get further than any of their rivals reflected the Premier League's recurring decline. In 2007 and 2009, three English teams reached the semi-finals for three successive years but since Chelsea's win in 2012 the line-up of quarter-finalists has reflected the shift in power. Spain provided 17 of the 48 teams, Germany were next with 10, but England, with five, even lagged behind France. Last term, Arsenal were demolished in sadly familiar fashion by Bayern Munich, Manchester City's inability to balance defence and attack succumbed to Monaco magic while Spurs flopped in the pool stages amidst a relatively moderate group. A few months on and suddenly it seems as if England have been revived, becoming the first country to qualify five teams in the knockout stages, which commence in February. A case can be made for all of them to make the quarter-finals so there is a likelihood of a finalist, if not a winner, coming from England. There has been a balancing out; the European giants aren't as powerful as they have been but it would be negligent to abandon their claims. They come alive in the knock-out stage and the winter breaks refresh the continental sides. In May's final, Real Madrid were able to pierce the old lady of Turin's defensive shroud; they just took them apart and, apart from Chelsea and Inter Milan this past decade, the trend has been for the attacking forces to triumph against the defensive sides. Manchester United are minded to keep one eye on re-qualifying for the Champions League but we know Jose Mourinho has form in this competition with Porto and Inter. They should make the last eight. The glorification of Mauricio Pochettino at Spurs has faltered somewhat as they struggled without Toby Alderweireld and Victor Wanyama while Dele Alli grapples for best form and behaviour. Wembley won't be a huge advantage and they could easily come a cropper against Juventus. Liverpool seemed to have been getting closer to locating the correct balance between defence and attack until the 3-3 at the Emirates. However, they should advance against Porto. But will they still have the outstanding Philippe Coutinho by that stage? The two Sevilla matches had cast enough doubt that they may be undone by better teams; they are probably the least likely to advance further in my mind. At Chelsea, a frustrated Antonio Conte is eager to get the players in that he wanted at the start of the season, yet he still may not do so. They were undone by Roma but the notable away win in Atletico Madrid, in the first home match at their new stadium, was far more representative of their qualities. He has the right mentality to make a decent tilt; as he showed when re-shaping his defence en route to last season's title success, he has the knack of identifying and solving problems. Finding the midfield balance is key and they couldn't face a more difficult tie than in-form Barcelona. They have coped with the loss of Neymar by unveiling a more pragmatic approach in midfield; the defence has better protection and has conceded fewer goals this season. Lionel Messi and Luis Suarez are playing in tighter tandem as a central partnership but they need to remain injury-free. PSG are tipped by many to make a breakthrough based on their star power up front but Munich's 3-1 win in the final group game, with the German club's 2013 winning manager Jupp Heynckes once more on board, should serve caution. That should be a tasty tie against Real Madrid. Madrid won the title without Gareth Bale but could Manchester City afford to lose one of their galacticos? They have such a vast galaxy and, given the efficiency of their squad, it looks like they could. They should easily brush Basel aside. They have coped without Vincent Kompany, John Stones and Benjamin Mendy and, even minus David Silva, they were recently able to swat Spurs aside which would make you think they can cope with all the juggling. Pep Guardiola is conscious that relative failure at Bayern Munich was based on the fact that they didn't win the Champions League. They are winning the domestic league at a canter and can sharpen their focus; whatever about winning four trophies, two of them really matter. 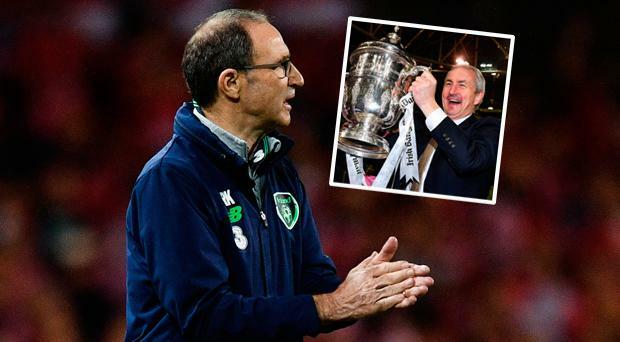 An English club winning the Champions League would raise hopes of a World Cup success but sadly another summer will come and go without Irish interest there. Frankly, they didn't deserve to book their ticket. Ireland entered 2017 with 10 points from four games atop their group but ultimately had to win their final two matches just to make a play-off. We won three, drew four and lost four; the three wins were a summer friendly against Uruguay and the vital wins against Moldova and Wales which retrieved the perilous qualification tilt. The results were poor across the year; the Cardiff win was actually out of sync with everything else, and anyone who was shocked by the Danish demise wasn't really paying attention to the prevailing trend. The lack of football or entertainment was the most obvious factor surrounding the team and their performances in 2017 and with little to get excited about in the 2018 calendar, the majority of Irish supporters would probably like to see a change of the top management. Despite the lack of communication, there has been no indication that Martin O'Neill and Roy Keane will be leaving. 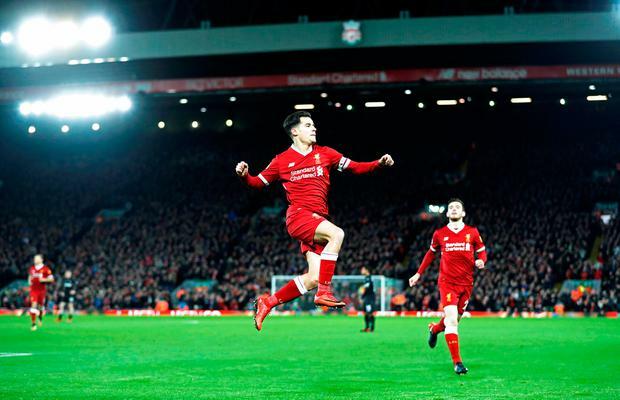 Suggestions of interest from Premier League clubs seems to have been wildly exaggerated; both men will have been stung by the Denmark failure but can they be stung into action? We scored 12 goals, the lowest of any second-placed team across the European qualifying groups; Italy also scored 12 but in eight matches. The trend in football is towards more and more goals and entertainment; the Irish international team stand apart in boring isolation. As rugby and GAA thrives, soccer needs to maintain its influence and in 2018, with no competitive games, that might be a struggle. Especially if the team literally refuses to play ball. 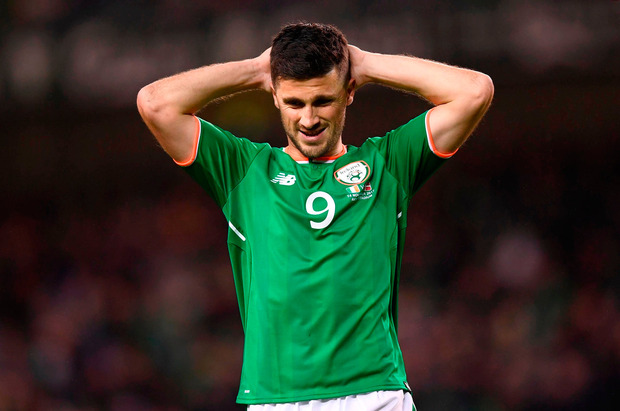 The older players, such as John O'Shea, Glenn Whelan, Jon Walters and Wes Hoolahan have also remained silent on their intentions; the fact that the Euro 2020 qualifiers don't start until 2019 will colour those deliberations. Seamus Coleman, James McCarthy and Jon Walters could have made a difference and their return will add to the core group of Shane Duffy, Ciaran Clark, James McClean, Jeff Hendrick and Robbie Brady. There are emerging players like Sean Maguire, Declan Rice, Scott Hogan, Liam Kelly and Alan Judge. The players are there but the manager's deep knowledge and experience needs to be adapted; more precise and tactical planning, with clarity of roles and positions, are required. There was too much confusion, with frequent formation and personnel changes from game to game. There has to be more emphasis on retaining possession and starting attacking moves other than by the long launch towards a Daryl Murphy or a Shane Long. If Hoolahan is now to be discarded, someone else needs to take on his role as the instigator of the passing. Regular trips to Burnley, Brighton and Bournemouth have convinced me more that the Irish manager is not getting the best use of the creative players we have at these relatively moderate clubs. It is possible to have a little more style without compromising results.